There are a few words that could describe the general feeling in the Plug-in scene in 2017, those being: "Tesla Model 3", "When will i get my EV? ", "Chinese EVs" and "Tipping Point". If the Chevrolet Bolt was the first of the Second Generation EV's to arrive, GM's slooow production ramp up plan and the general anticipation for the Tesla Model 3 arrival lead to an Osborne effect in many western markets, in the first part of the year, with buyers waiting for the upcoming models, leading to a slowdown in the sales growth of First Generation electric cars. Once the specs were revealed, and first deliveries of the Model 3 started, back in July, as well as the deliveries roadmap was confirmed, two things happened: Instead of being cannibalized by its younger sibling, the Model S actually improved its sales performance, possibly with many Model 3 would-be buyers opting to buy the larger model, instead of waiting for an eternity a year or more for the new car. 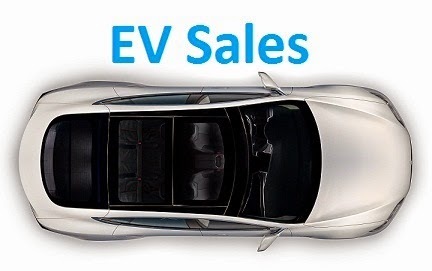 The EV market as a whole also benefitted from the Model 3 reveal, not only because of the increased visibility in the media, but also due to the extended delivery dates for new customers, many buyers opted to buy one of the current EVs now, instead of waiting for 2019/2020 for a new Model 3. When will i get my EV? This has originated months long waiting lists in some of the most popular models, which forced many EV buyers to wait 3, 4 or even 6 months of waiting for their new car, which means sales this year (+/- 1.2 millions) could be even higher, had the current EV makers the production capacity to satisfy demand. Let's hope the new year and the announced production increases help to solve this problem. "You won't ever buy a Chinese EV? 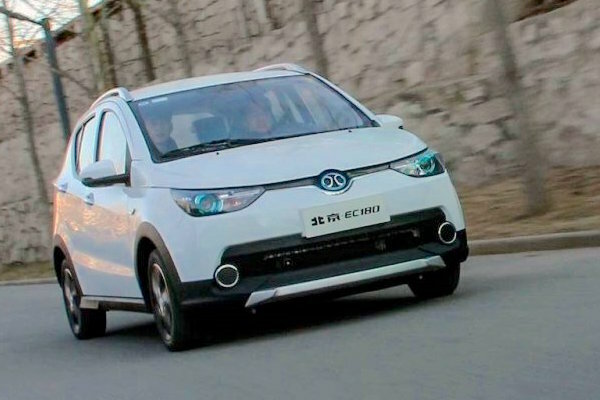 2017 was Year Four for the Chinese EV market, despite a weak start of the year, due to government policies uncertainties, and with foreign makers still neglecting the Chinese EV market, where the local brands owning still 95% of this booming market to themselves, this allowed the Chinese EV makers global share to rise from 31% in 2015 to 45% in 2017, with China rapidly becoming the place to be, not only it is the largest PEV market in the World, but also the fastest growing one, volume-wise. Even mentioning PEV Share, China is making giant steps, their plug-in share is now at over 2%, an important improvement over the 0.9% of 2015 and the 1.4% of 2016, and already above markets like the USA or Europe, both still around 1%. If BYD and BAIC are frequently mentioned here, others are also contributing for this unstoppable wave, like SAIC (Roewe is now #9 in the global EV market), and especially Geely, that as an Automotive Group, is outselling Tesla, the BMW Group, GM, VW Group...Basically everyone, their 93k sales this year made it the Third Best Selling PEV OEM in the World in 2017, only behind BYD and the Renault-Nissan Alliance. Only, reality is more complicated than that. If the Model 3 did landed on Schedule, the production ramp up is proving to be much slower than expected, while burning cash at an alarming rate. Fortunately, the Model S/X sales continue to grow, and the stock market seems to like what Elon Musk has reserved for the future, thus keeping Tesla stock in near record levels. 2018 will be the "Make it or Break it" year for Tesla, if the Model 3 quality issues and production ramp up are solved in the Q1, Q2 the latest, of the new year, then Tesla can focus on making as many cars as possible, generating enough revenue to invest on the Model Y, Semi and Roadster II developments, ending the year as a less stock dependent company and with a bright future ahead of it. If, on the other hand, production issues continue to arise into Q3 2018, investors could start to be nervous and the company stock price could suffer, endangering future models development and make Tesla vulnerable to the Legacy OEMs EV push in 2019/20. With this on the agenda, being COO / Plant Manager of Tesla must be one of the toughest jobs on Earth. In 2025, we will look back at 2017 as the beggining of the second chapter of PEVs, after the 2011 introduction of mass-market ready Plug-ins, 2017 will be remembered as the tipping point where PEVs got out of the tree-hugger/Tekkies 1% niche and into a more mainstream market. While Norway continues to be the poster-child for EV Share (38% Share!) and China the King of Volume (500.000 units in 2017! ), others are also making themselves noted, like Iceland (14%) or Sweden (5%), of relevance is also the fact that big markets like Germany (1.5%), Japan (1.02%) or the USA (1.1%) being already north of the important 1% threshold, while others, like Canada (0.8%) or South Korea (0.9%) are bound to reach it soon. Also of importance is the dissemination of plug-ins into countries not usually associated with EV's, like Malaysia (Over 6.000 units! ), Ukraine (Over 1.000 units), New Zealand (1.000 sales), or Mexico (500 units), while PEVs are tipping their toes wheels into South American countries (Colombia, Brazil, Chile, Ecuador, Uruguai...), a region where we see for the first time Chinese OEMs and the others running neck to neck for the local buyers wallets. The September record lasted only two months, as in November registrations grew 72% YoY to over 141.000 units, pulling the 2017 count to over one million (1.039.114 units, to be more precise), up 55% regarding the same period in 2016, and pushing the total stock of Plug-in passenger cars in the World to almost 3.3 millions. Considering this brilliant performance, i think it is safe to say that December will be the Mother of all records, with numbers possibly hitting 180k. Ambitious? Maybe, but i think the stars are aligned for it. In November it was all about the BAIC EC-Series reaching once again historic levels (15.719 units, new all-time record for a single model for the second third time in a row), allowing the Chinese model to order the 2017 Best Seller title with one month in advance. As for the remaining YTD Top 10, there were two significant changes, with the Tesla Model X (4.185 units, best off-peak performance ever) recovering the Fifth Spot, while in Tenth, we have a surprise, with the Chevrolet Bolt, that's the one with a "B", finally reaching the Top 10, thanks to a record 3.747 deliveries. Will it remain in #10 by the end of December? There are a lot of candidates, with four models less than 2.000 units behind (BYD e5, JAC iEV6S/E, Mitsubishi Outlander PHEV...), but i believe the most difficult of them to beat will be the Chevy Volt (With a "V"), less than 200 units behind and with the potential to outsell its all-electric sibling in December. Looking at the BEV / PHEV breakdown, pure electrics are steady at 65%, thanks to the Chinese rise, this being the highest BEV share since 2011(!). BAIC has beaten the all-time record, by registering 17.812 units, and despite maintaining its Fourth Position on the YTD ranking, it has presented its credits to win the Manufacturers Trophy, adding yet another automaker to the thrilling race we are witnessing. Considering that BYD should make a 13.000-something performance in December, the Chinese OEM should end the year at around 107k, while Tesla should make some 18k in the last month of the year, so it could end at around 107k deliveries, same as BYD. 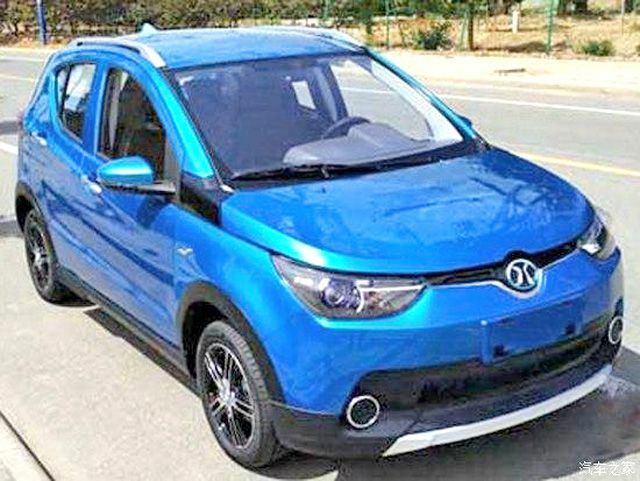 As for BAIC, expect another record-breaking performance, maybe reaching some 21k units, thus doing 106k units in 2017. The diferences between the three look so small that anything can happen in the manufacturers race. Chevrolet took advantage of the slow sales of the Japanese Nissan and Toyota, to overcome them, thanks to 6.212 units, a new personal best. Another interesting story is developing at the bottom end, with the Chinese Roewe gaining a precious lead to secure its Ninth Position, while Volkswagen returned to the Top 10, dumping the slow selling Renault out of the table. Still, with Renault less than 2.000 units behind, theoretically, the French carmaker can still dream of coming back to the Tenth Spot, but...I just don't see the potential to do it. The European passenger plug-in market had its best not-last-month-of-quarter record, with over 29,000 units. This is the sixth seventh time in the last seven eight months where we see 50%-plus growth rates. Looking at the broader picture of the Automotive market in Europe, sales were up 5.9% in November, with SUVs growing the fastest, at +32%, which highlights the need for more plug-in SUVs, as that’s what the market currently wants. If we look only at PEV share, November hit 2.4% share, keeping the year-to-date share at a record 1.9%. As in the previous month, November saw a close race between the Renault Zoe, BMW i3 and Mitsubishi Outlander PHEV, decided in the last minute by photo-finish, this time with the BMW i3 winning by just 45 units. 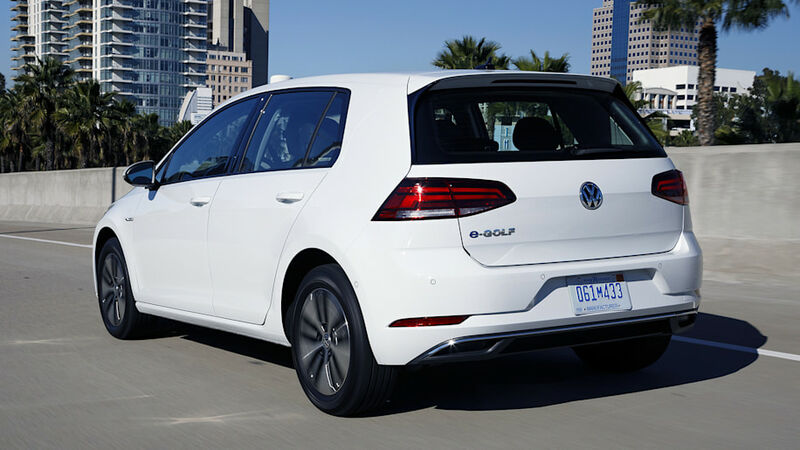 Interestingly, the two Best Selling ICE models in Europe (VW Golf and Renault Clio) have their plug-in counterparts (e-Golf and Zoe) reaching the Top 5. Expect this to become a trend, once more and more mainstream buyers, more risk-averse, join the PEV market. #1 BMW i3 – The German Hot Hatch was down 8% in November, to 1,932 units, a drop explained by the exceptional month of November ’16, when the deliveries of the 33 kWh version were in full swing, and the recent deliveries hiccup, derived from the facelift change of the hot hatch. Still it was enough to be November Best Seller, and expect deliveries in December to resume the growth path. Looking at individual countries, apart from Switzerland (340 units, new record), there were no big surprises, with Norway registering 358 units (All BEV), and Germany scoring 438 registrations, 276 of them being of the BEV variety. Looking into 2018, expect deliveries to pick up in the coming months, as BMW returns to full production in its Leipzig plant and delivers as much i3 and i8 as the factory can deliver. #2 Renault Zoe – Despite growing 31% YoY, the November performance of the French hatchback confirmed that it has lost the unbeatable status, scoring 1,887 units and losing the November Top Spot to its BMW i3 rival, while the Third Placed Outlander PHEV ended only 52 units behind. Is Renault not willing to increase production, or is demand waning? Maybe the upcoming Leaf II is making a dent on its French cousin performance…Or maybe not. For market individual performances, good news from its home market (776 units, up 48%), collecting also three-digit performances in Germany (235 units), Norway (213) and Spain (127). #3 Mitsubishi Outlander PHEV – A sure value, the Japanese SUV has seen its sales go up 12% YoY, to 1,835 registrations, racing once again for the Best Seller status last month. Mitsubishi is of the few Top OEMs to have its sales limited by demand and not production. As such, Mitsubishi is actively promoting its plug-in model, highlighting its unique mix of space, AWD and electric range (50 kms NEDC), with competitive prices (Read “deep discounts”) as the icing on the cake. This makes him popular in markets like in the UK, Norway, Sweden or Germany, and a sales phenomenon in Iceland, having inclusively beaten its sales record last month, by registering 154 units(! ), and making it the Bestselling passenger car in November (!!!). In the long run, it is not certain that the Japanese SUV can keep up with the general growing sales trend and stay among Europe’s top sellers. 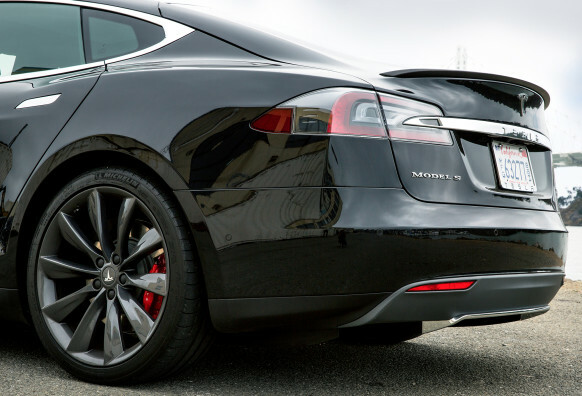 #5 Tesla Model S – The poster child for electric cars collected another Top 5 presence, recording 1,531 units last month, its best off-peak performance in Europe, since it landed in 2013. It seems many buyers got tired of waiting for the Model 3 and just went ahead for the larger (and pricier) Model S. The largest markets for the Californian Sport Sedan were Norway (501 units), Netherlands (235) and Germany (205). With the Model 3 still several months away from crossing the Atlantic and without direct competition in the foreseeable future, expect this model to continue to be a regular here. November didn’t bring many changes to the 2017 ranking, with the most important being the Mitsubishi Outlander PHEV displacing the sunset-mode Nissan Leaf from the Third Spot. In a strong sales month, some models hit record performances, with the trendy Mercedes GLC350e hitting 1,482 units, a good sign for the future EQ all-electric SUV, the Tesla Model X had its first four-digit result (1,100 deliveries) in an off-peak month, while the Hyundai Ioniq Electric, hit a record 792 deliveries, with the local brand importers profiting from the increased production on the BEV version. Outside the Top 20, there are some rising stars that should make themselves noticed in 2018, like the Kia Niro PHEV, which registered 553 units last month, or the Mini Countryman PHEV, that with 733 units in November, had another record month. Coincidentally, both are compact Crossovers, which says a lot about what body styles people currently prefer. Finally, a reference to the Opel Ampera-e (Euro Chevrolet Bolt). November was the second month in a row of increased deliveries (328 deliveries last month), which could mean that GM and PSA are finally willing to deliver it in decent volumes. Will we see it reach 500 units/month in the beginning of the year? I sincerely hope so, the little EV deserves to be successful, and it’s not its fault that GM and PSA managements are…Well, you know, it rhymes with holes. Looking at the manufacturers ranking, BMW (19, down 1%) is comfortably seated at the Top Spot, now being followed by Volkswagen (12%, down 1%) in Second Place, having surpassed Renault (12%, down 1%), but with only 800 units separating them, everything can still happen in December. Outside the podium, Tesla (9%) is running ahead of Mercedes, with 8% share, but with the December last-quarter-of-the-month Tesla peak expected to be a record-breaker, do not expect Mercedes to pose any problems to the Palo Alto automaker.